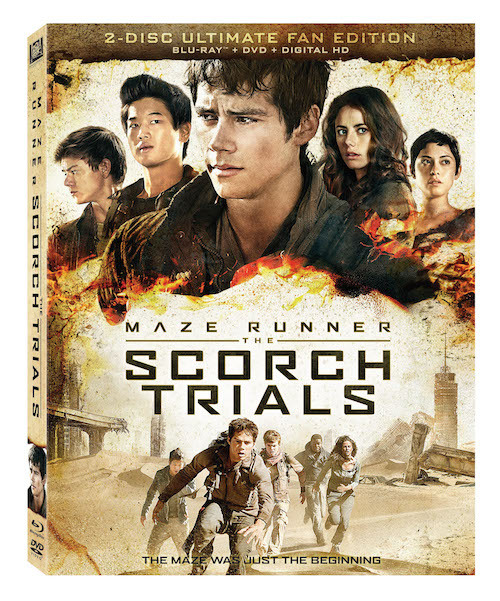 Win Maze Runner: The Scorch Trials on Blu-Ray & DVD! Reel Mama and friends are delighted to bring you the opportunity to win MAZE RUNNER: THE SCORCH TRIALS 2-Disc Ultimate Fan Edition on Blu-Ray and DVD! Use the Rafflecopter below to enter, and best of luck! Are you a fan of Maze Runner? This second installment in the film series features the action-packed epic adventures of the Gladers, who are struggling to find their purpose as they strive to uncover the secrets of the WCKD organization. With special effects and action even bigger than the first movie, this time the Gladers find themselves in the desolate and dangerous Scorch. A great stocking stuffer for your sci-fi, action and fantasy movie lover! A special thanks to our promoting bloggers! Maze Runner: The Scorch Trials is already available on Digital HD, and is officially releasing on on Blu-Ray on December 15, 2015. We love it when you “like” us on Facebook! Can You Survive The Scorch? Giveaway Rules: This giveaway is in no way associated with Instagram, Facebook, Twitter, or any other social media platform. You must be 18 years old or older to win and be a U.S. or Canadian resident. This giveaway will run from Monday, December 7, 2015, until Monday, December 21, 2015, at 11:59pm. One winner will be chosen at random via the Rafflecopter. Disclosure: Fox Home Entertainment Insiders is sponsoring the prize and is solely responsible for prize shipment. ReelMama.com received a copy of MAZE RUNNER: SCORCH TRIALS for review purposes. No other blogger received compensation for participating in this giveaway. Next post: Venta Airwasher is saving me this winter! I would share this dvd with my husband and son. Ny son just listened to the audiobooks and is really wanting to see the movies. I would share this dvd with my husband.